When in doubt, but a big bow on it! 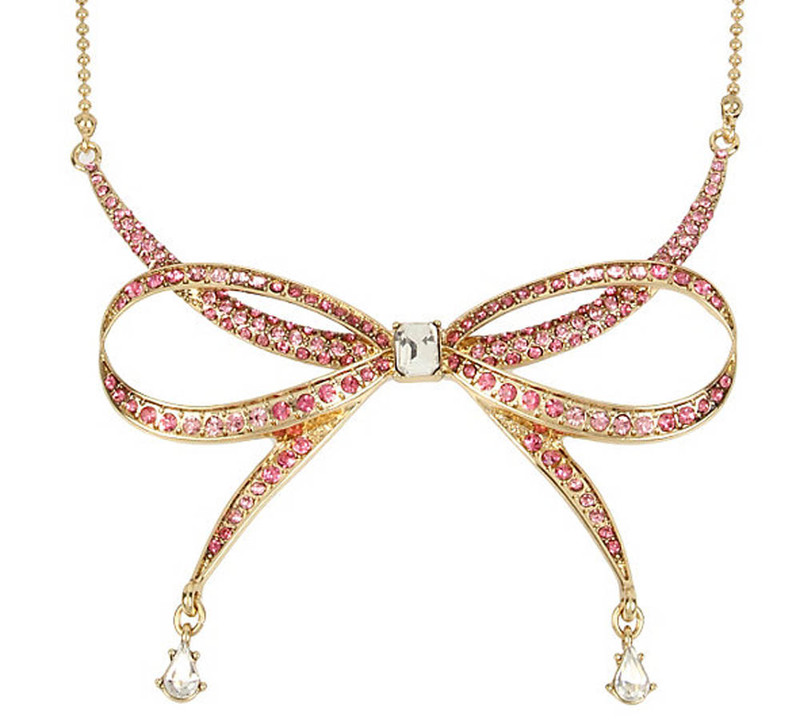 This decadent chain necklace features an oversized bow decorated with pave crystals. 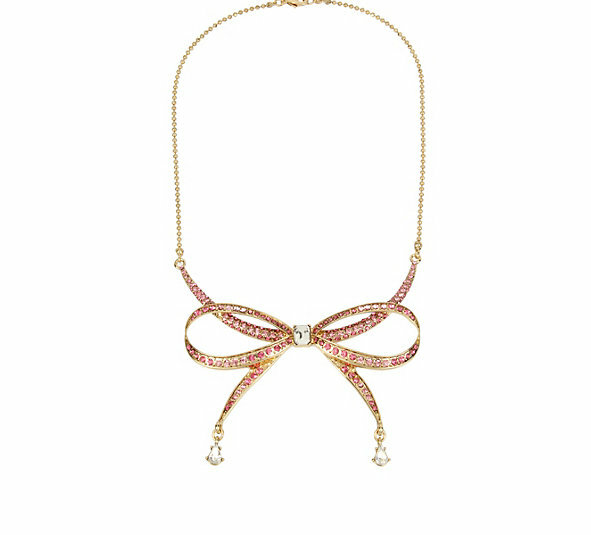 Gold tone necklace chain and bow frontal with pink tonal colored pave crystal accents Lobster claw closure Antique gold tone Metal/glass Length: 16" + 3" Ext Frontal Width: 3.5" Frontal Drop: 2.5"